Her genre, "World Pop Indie", includes international songs such as Eres para mi, and Limon y Sal featuring the first category (Lenine / Vicentico (Los Fabulos Cadillacs) / La Mala Rodriguez / Celso Piña / Cafe Tacuba / Ana Tijoux / Los Autenticos Decadentes...) which made this Mexican singer known for her atypical, polished styled voice throughout the continent of Latin American. During her career Julieta Venegas took away one "Grammy Award" and 7 "Latin Grammy Awards". - 2 Latin Grammy Awards in 2001 for «Best Rock Album» with Bueninvento and «Best Rock Song» with Hoy no Quiero. 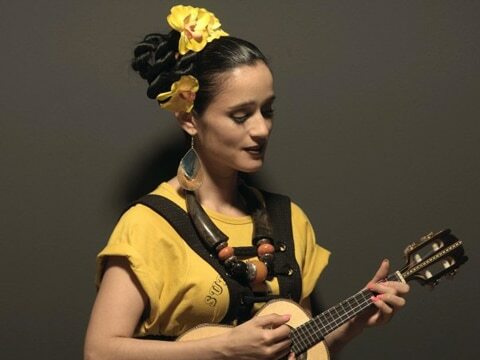 On her second album, "Bueninvento", which was released in 2000, Julieta Venegas collaborated with Joe Gore, guitar (Tom Waits, PJ Harvey and Lisa Germano) Joey Waronke, drums (Beck, R.E.M, Smashing Pumkins) and Fernando Saunders, bass (Lou Reed). Being socially engaged in women's rights she was nominated in September 2009 as an ambassador for UNICEF in Mexico. In addition to this she was invited to play at the "Prize Nobel" ceremony in Oslo (Norway) in August 2008. In November, 2012, her album, Bueninvento (2000) was nominated third in Britain's Rolling Stone magazine for "Top 10 Latin Rock Albums in History" coming in before Clandestino by Manu Chao and Abraxas by Carlos Santana.